Captain Toad: Treasure Tracker is releasing on Switch and 3DS in just a couple of days' time, but the new Switch port features one very telltale sign that it was once a Wii U game. This clip below, shared by @akfamilyhomeak on Twitter, shows exactly what happens when an amiibo is scanned into the game. As you can see, the game correctly prompts you to touch your amiibo to the right Joy-Con, but the gift animation that follows is displayed on the left side of the screen. The reason? 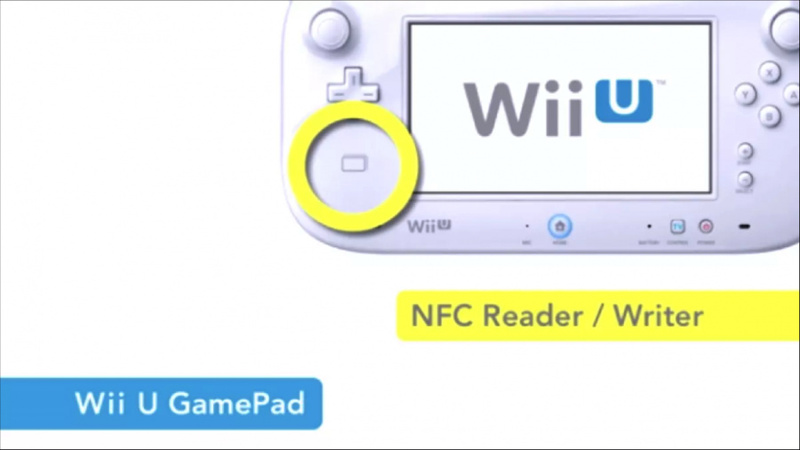 The Wii U GamePad's amiibo NFC reader was just to the left of the screen, exactly where the animation is displayed, and it would seem that Nintendo has somehow forgotten to update the animation to reflect this. Considering the entire game has been redesigned to suit the Switch's available control methods, this is a very strange oversight indeed. Of course, a good patch should be able to sort this out in the future - and we're sure that Nintendo will do just that - and it shouldn't affect your enjoyment of the game. If you're thinking of picking up a copy when it releases this Friday, make sure to check out our Switch and 3DS version reviews to see if the game's for you. Oh well...I dont use amiibos anyway. But what happens on 3DS? @daveh30 I'm gonna buy it again because ---- I'm Strong! Even Mario Kart 8 fixed this and had it appear to the right! What do amiibo do in this game, anyway? The hidden pixel Toads are available without amiibo. At least when Nintendo cuts a corner it doesn't render the game completely useless or broken. I'm happy about that. @thesilverbrick Just free 1 ups I believe. Not really relevant when you consider it can be played in docked mode. While the game itself is obviously fun on Switch, it's hilarious they forget to change that one animation so it's mirrored. I never did buy the Wii U version, so 3DS version for me! MARIO Tennis now this with consoles cracking and more to come. Nintendo has been sloppy and you can say no big deal but that is not Nintendo quality and why we love Nintendo in the first place. Don’t forget the terrible frame rates of BOTW sometimes dropping to 0. Seems like they too are going to rely on internet to deliver a final product whereas they used to deliver complete games at release prior to the Switch. That completely ruins my enjoyment of the game. @brutalpanda Nintendo is always late to the main published from technical standpoint. They are just catching up on the topic of rushed games. This is unacceptable. Pre-order cancelled. Seriously though, I can’t wait to play this game again. Still can’t believe it’s being ported to the Switch! I was expecting something pretty glaring, but I didn't even notice the issue until the article explained what the problem was. This game is lovely. I enjoyed every minute of it. The animation is wrong? LAZY DEVS! GGAME IS BROKE! METROID IS DEAD! What's a Wii U? is it a Wii accessory to scan amiibos? Hahahaha. You know somebody somewhere in Japan is watching this at home now going "(gaaaaaaaasp) oh nooooooooo"
@thesilverbrick Pixel Toad mode and extra lives on Wii U. Extra lives on 3DS and Switch, it seems. @Rhaoulos When Iwata announced Wii U it looked like a Wii peripheral, for sure. No console was shown but just the tablet. Unbelievable, completely unacceptable in this day and age. Hah thats a weird thing to overlook. I wonder if the Wii U version is still on the NA eshop or if Nintendo pulled a Tropical Freeze situation again. Well, this will surely confuse the one Nintendo fan living under a rock who thinks this is a brand new Switch game. I saw Zelda BOTW's framerate drop to -30 FPS. It was a chilling experience. No sale from me now. @westman98 - Me too. Up on Mt. Lanayru. When it started snowing really hard, the frames dipped so far into the negatives that the game actually started playing in reverse before it shot out of my console, back into the game case, and re shrink wrapped itself. It was incredible. Stupid Nintendo. Laaaazy nintendo does it again! Just connect the right Joy-Con to the left rail and then scan your amiibo. Problem solved. @bimmy-lee Well in the villages on Wii U it still runs like rubbish, like a slideshow, I can show you. @Ralizah I didn't get it either. Guess that my expectations are low coming from Wii not the Wii U. Only thing lazier than Nintendo devs are these "news articles about piddling little glitches. What site is this again? People: "Ya who cares about such a small detail"
Same People: "SCREW MARIO TENNIS FOR SWITCH!!! IM NOT BUYING SUCH A LAZY GAME FOR 1 TINY GLITCH!!!" @BlueOcean - I put 300+ hours in on the WiiU. I didn’t 100% it, I but I wrapped up the story and walked away from it on March 3rd, a year to the day after my adventure started. The frame rates dipped, and my WiiU chugged in the villages. It didn’t alter my experience one bit, and it’s far from “rubbish” in my opinion. Lazy port, no quality games, too many indies not enough AAA, cracks in everyones system no quality control where is fallout 4? Am I doing that crap right? This is hilarious, but is ultimately nothing of consequence IMO. Now see, this is what a small patch is for. Fixing little oversights. It happens. Not unlike cartridge revisions in the 8&16-bit eras. Mario Tennis, on the other hand, seems to have entire modes missing that just should've been there. The New Nintendo of today ! SAD ! This article is massive click bait. @bimmy-lee I mean the performance is, not the game. And not everywhere but mostly in the villages. Breath of the Wild is my most played Wii U game, too. It's a shame that they didn't fix that in the Wii U version, only the Switch version benefited from some performance optimisation. Poor performance can break the game when the choppy frame rate happens. I never expected a Nintendo game to perform that badly. @BlueOcean - I was astounded almost the entire time that Nintendo built such a massive game that did perform so well. It’s not exactly their wheelhouse. The dips in the village didn’t bother me, I think people act hyperbolic about it and forget you can sit on a mountaintop, watch three different weather patterns, a couple dragons flying around, four giant mechs moving around, stars falling from the sky, all manner of wildlife foraging around, and NPCs traveling the trails below, all without a dip in performance. How do we get from what I just described to, “0 fps/runs like a slideshow” when 98% of the map performs astoundingly well? @bimmy-lee Yes that's why I only complain about the villages and that could have been optimised as they did on the Switch version but they didn't bother. It's not hyperbolic, the game becomes literally broken once it turns into a slideshow. Outside the villages the game uses a lot of tricks (level of detail is ridiculously low) to run smoothly and it's fine, that's when I could enjoy it. What does it matter if it is on the left and not on the right? Besides, it is in the centre if you are playing with the Pro controller. @BlueOcean - I never noticed the performance dip to slide show levels, not even close. Calling a game like BOTW (temporarily) broken over some dropped frames in a few small sections of a big game is the very definition of hyperbolic. @bimmy-lee If you don't believe me I can send you a video but you have some on YouTube. It's broken at the villages when it becomes a 20-15 fps slideshow constantly. Digital Foundry also analysed this. It's still broken in the villages and it hasn't been fixed on Wii U. No hyperbole here but reality that anyone with eyes can see. @daveh30 No, it's because you are imagining Captain Toad 2. @BlueOcean - I guess different definitions of broken and slide show then. I don’t need digital foundry or random youtubers to tell me what I experienced. I also don’t need a specific frame count. To me, the frames dipped in some of the villages, but to a still acceptable level which came nowhere near a slideshow, nor did it change my gameplay or enjoyment of the game or my opinion on its performance. And that lazy developer thought no one would notice. Ports are so lazy new games please! I will buy it for the 3DS. It looks amazing in 3D. Eh, just a small error. Nothing to write home about. 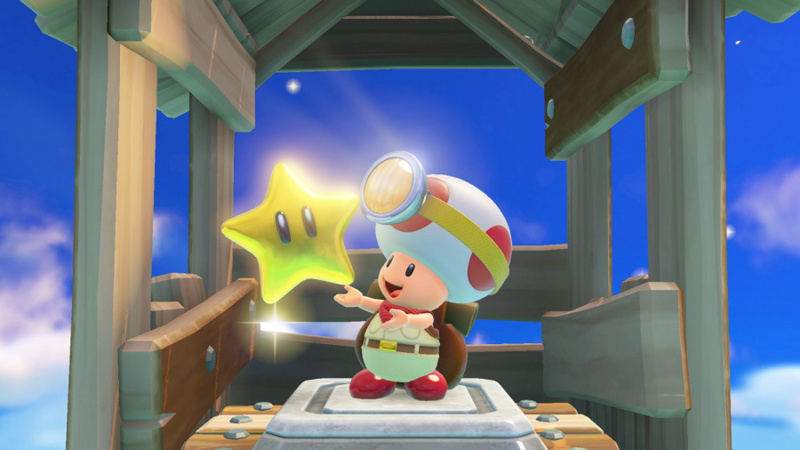 Also, Toad amiibo apparently gives toad an invincibility star for a few seconds of not-dying. Wow. Journalism at its finest. Real hard hitting stuff. @thesilverbrick @Joker13z 1-ups and a previous article reported the Mario Odyssey amiibo provide early access to the five or so Mario Odyssey levels that can be unlocked later without them. @boop22 They should have titled the article "Amiibogate, the coverup that wasn't covered up that well at all come to think of it. 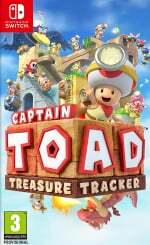 The true story of Capt Toad Treasure Tracker on Nintendo Switch". @Deadlyblack Yeah, but because it was mentioned it will likely be patched shortly, perhaps a day one patch. I can't believe that anybody at Nintendo Life thought this warranted an article. Obviously nothing interesting to write about. I was reading all these comments and I realize what is the problem here? Why are these complaints about a little glitch or the tennis game? Every body should know not all games are perfect. As long as the games are enjoyable that is fine. And what's all this hate on Nintendo? Nintendo is not perfect, but they still have good games. I think that people just like to criticize Nintendo whether it is good or bad . I feel that wii u owners are still upset that the switch is the console of interest at this time. @bimmy-lee everything is acceptable to Nintendo fans that doesn't mean it's true to objective people. They changed the infographic for scanning amiibos, but didn't catch this one? Or they just didn't have time? Or they just judt didn't give a toss? @Bomberman64 I'm still putting my money on those 3D World stages being added back in when 3D World gets a re-release on Switch. @sixrings - Objective? Hilarious. Anyone can have any opinion they want about the actual game. However, saying that it’s a broken slideshow because the frames dip in a few spots is absurd. It’s not a fact, it’s a hot take with no substance. Pure internet. This is searching for needles in haystacks. Wasn't this a budget release on the Wii U? I picked this up for £20, but tops it was £30. The 3DS and Switch versions are missing the Mario 3D World levels. I suppose Nintendo will cash in by releasing them as DLC, cant see it being free. Gret game, but it's not worth £30 to £40. @thesilverbrick I think it unlocks the new Mario odyssey levels they added straight away without needing to play through each level again, probably for those who've already played it to death on the WiiU F'up console so they can play them from the beginning. Also as it's probably the main reason they've paid for the same game pretty much again? @brutalpanda Erm... my copy of BOTW works fine. Granted, I mostly play portable, but when I did play it on the TV - and its a good TV, mind you - it looked fantastic. @MarioFan02 yeah but did you play it at launch? fps was dropping hard all the time and sometimes to 0. They patched it later.